County Waste and Recycling (County) is a private, full service solid waste management company that provides collection, transfer, processing, recycling and disposal services throughout multiple counties in Virginia and central Pennsylvania. In Virginia, the company’s operations surround Fredericksburg, Culpeper, Charlottesville, West Point, Lynchburg, Roanoke and a large region surrounding the state capital of Richmond. County’s Pennsylvania operations service the Poconos, Stroudsburg, Bethlehem, Tremont, Mountain Top and Scranton markets. County provides residential, commercial and industrial and C&D waste collection services to over 22,000 commercial and industrial customers and more than 310,000 residential subscription customers, as well as significant additional residential customers via various municipal contracts. County also has a wide network of transfer stations strategically located throughout Virginia and one in Pennsylvania, owns a state-of-the-art single stream material recovery facility in the Richmond metropolitan area and operates a landfill in southwestern Virginia. When County was starting their business in 2011, the focus was on growth, both organic and by acquisition, says William Dalrymple of County Waste and Recycling. “At the start there were a couple of acquisitions all running different hardware/software platforms for billing, customer service, operations, routing and reporting. We could tell right away this was a logistical problem and we needed to standardize on a single solution if the growth we planned on was going to be obtained.” County took the time to evaluate all options and discussed what their needs were and how to best provide a long-term solution. During their research, it was discovered that most software packages still needed onsite hardware, often requiring multiple databases to run different software operations. Continuity of data and reporting was complicated with different report writing tools pulling data from different systems. Scalability was going to be an issue since most programs required hardware at each location and ongoing maintenance of those servers was going to be expensive. Other questions arose: How were users going to gain remote access to different systems from different sites? How easy was it to add new customers to different systems and cross train employees? How would the company support all of these applications and the server maintenance that they require? After evaluating multiple options, the best long-term solution was to consolidate to the Soft-Pak hosted platform. 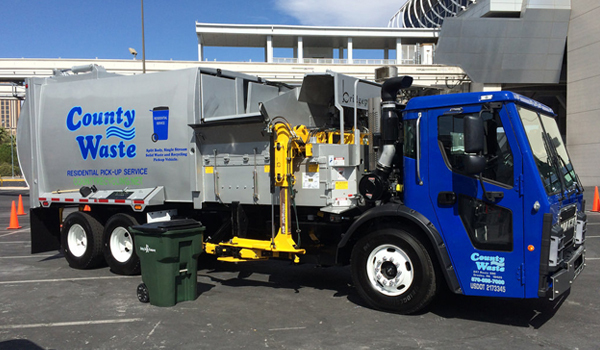 Soft-Pak (San Diego, CA) provides operation software solutions specific to the waste industry, supporting private and municipal waste operations for 25+ years. A modular approach to software provides users with sales and contact management, customer service, billing, routing, scale transactions, mobile computing and GPS tracking all integrated to one database. Clients choose to operate with onsite servers or within the Soft-Pak Cloud, eliminating the need to purchase and maintain hardware servers. A complete software solution for waste haulers and industry professionals that have worked in the waste industry for years. “Bringing County’s operations on the cloud was a good choice,” says Susan Sommer, Training and Implementation Manager, of Soft-Pak, who helped train and covert most of County’s division. Just like most waste companies, purchasing and maintaining servers is an expensive and archaic proposition. There are constant patches, maintenance issues, co-location expenses, ongoing backups and the complexity of dealing with different hardware in different locations. It can quickly become complicated and expensive to manage. “County is focused on superior customer service for its clients, not on building out IT infrastructures to support something that could be easily available via the cloud,” says Sommer. County was also anticipating a high volume of credit card transactions, and the thought of storing sensitive client financial information on in-house servers in multiple locations created a high security risk. Going with a single solution with the ability to tokenize credit card information and secure single or multiple gateways to different merchant banks was easy and the right solution. Not only did County become compliant with current credit card procedures, but they also reduced their overall credit card transaction rates. County worked closely with the Soft-Pak conversion and training team to allow for simplicity and scalability. Having the ability to report on different lines of business from any geographic area by management was important. Maintaining uniformity of service codes within the application across divisions made reporting easier and training of new employees quicker. Adding a new client to the system became a standard process that was fast and efficient. With data uniformity, customer service could quickly add a new customer and easily place that client on the appropriate day and route with visual tools, whereas before they had to know which software system, and which set of service codes to use for that particular geographic area. As County continued to grow, acquisitions and tuck-ins became more streamlined and manageable, since all data being imported could fall under the new parameters. “We would help administer and review most data conversions when County acquired a new company or serviced a new municipality. This is very important since these decisions and resulting turn-around time often have a short window where County, as the new hauler, has to be ready to start servicing these new customers almost immediately. Since we have an established path of the exact required information, Soft-Pak is able to help make data transitions quick and accurate,” says Sommer. In turn, new customers get to see the exceptional service that County is known for right from the start. In the more than six years County Waste has been with Soft-Pak, they have grown to more than 500 trucks and over 600 employees. This growth could not have been accomplished in such a quick time period given a traditional client server world. The ability to easily manage data access, provide the proper security to users and easily tuck in a new acquisition, and to have that fall in line with past success, has given County the confidence in their processes and in their data. All of that was accomplished and continues without investments in hardware infrastructure or server maintenance. These savings in both money and time enabled County to focus on serving their clients and maintaining their growth. 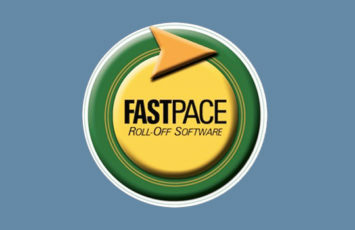 “Soft-Pak has consistently been there to assist with training of new employees, assist with data tuck ins and continue to provide software enhancements to all facets of the product. They created a technical platform that allows us to grow, run efficiently and have controls over our entire operation,” says Dalrymple. Leveraging technology is just as important as great customer service and a reliable operation. The hauling business continues to be competitive, and the more an operation leverages technology and makes it easy to deploy and manage, the greater the advantage and cost savings versus the competition. County started with 25 mobile tablets a few years ago and recognized the value of verification of service, knowing where drivers are and tracking productivity per route. The ability to quickly redeploy assets in special situations (vehicle break downs, route changes, emergencies) via immediate electronic route splits to maintain service levels and reduce overtime costs is an everyday problem that technology can help solve. The tablets are easy to use and inexpensive to deploy, leveraging standard android tablets costing only $200 per unit to set up. 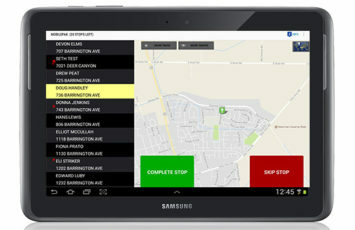 County has now deployed 300+ tablets running Soft-Pak’s Mobile-Pak in-cab solution. By the end of 2018, they plan to have 400 deployed. Mapping routes and visually seeing your fleet in real time is something that can also be optimized. 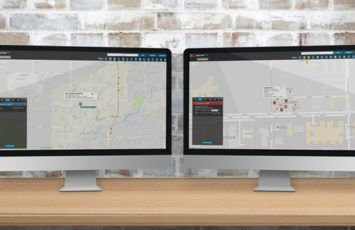 By leveraging the GPS tracking feature in each tablet, County can see where drivers are, whether they are on or off route and quickly assign more jobs to drivers that can swiftly service a location in close proximity. There are driver activity dashboards to help manage route metrics and geofence capabilities with alerts if drivers are off route. If a commercial route has 25 stops remaining, but the driver is already running on overtime, it is logical to re-route those stops and get that truck and driver off the road. This can be done in seconds with Soft-Pak. Additionally, County is using a new route optimization feature by Soft-Pak (just released in 2018) that quickly re-sequences routes. “Route optimization is a frequently used term throughout the waste industry, and often difficult to administer and costly with third-party solutions,” says Sommer. Dispatchers need tools that provide route status and driver information in real time and thus allow for quick route resequencing in short timeframes. For more sophisticated multi day/multi route optimizations, Soft-Pak works with ‘best of breed’ proven solutions like Routesmart and EasyRoute. For more information, contact Chris Anselmo, Regional Account Manager, call (619) 398-3513 or e-mail canselmo@soft-pak.com.